Thank you for stopping by my blog. I’d like to share with you how this blog came to be and what you can expect to find here. 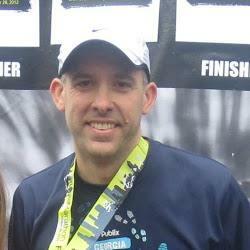 My name is Brian Fourman and I started Luke1428 in July of 2012. For most of my adult life I thought I had no money related issues and was doing things the right way. Looking back now, I was a spend-a-holic who was abusing credit cards and going into debt each month. My wife and I spent more than we were making and this caused considerable tension each month when the bills came due. In 2009, my worldview about my money health changed when I read Financial Peace Revisited by Dave Ramsey. I went on to teach his Financial Peace University class at my church and became determined to follow the Baby Steps process. This started the change in my personal financial life but something else pushed me further. So, on this site you will find my Hidden Nuggets Series where I explore personal finance from a spiritual angle. Or you may stumble across the gazillion verses I found in the Bible that have a money related them. But the site is much more than that. Here you will find very practical information designed to lead, challenge and encourage as we journey together on the path to financial freedom. My goal for this site is to share with you what I’ve learned on my own personal life about money, wealth accumulation and personal finance. In order to get started in the right direction, it’s best to review the eight core concepts you must come to grips with intellectually and emotionally if you are going to have success in money management. Although I tackle these concepts from a spiritual perspective, I believe they serve as foundational principles for success, whether you are religious or not. That’s why I’ll spend a lot of my time here focused on the day-to-day activities that make personal finance work. I love budgets, staying out of debt, investing for the future and giving to those around me. My goal is to give you value here each day, a vision that I laid out in my Value Proposition. Outside of this blog, my additional passions include my family, running, Ohio State football, cooking and owning and managing rental real estate. You can find more details about how my Bible reading and Dave Ramsey’s literature changed my life by clicking here. If you have any questions, go to my Contact Page and send me an email.